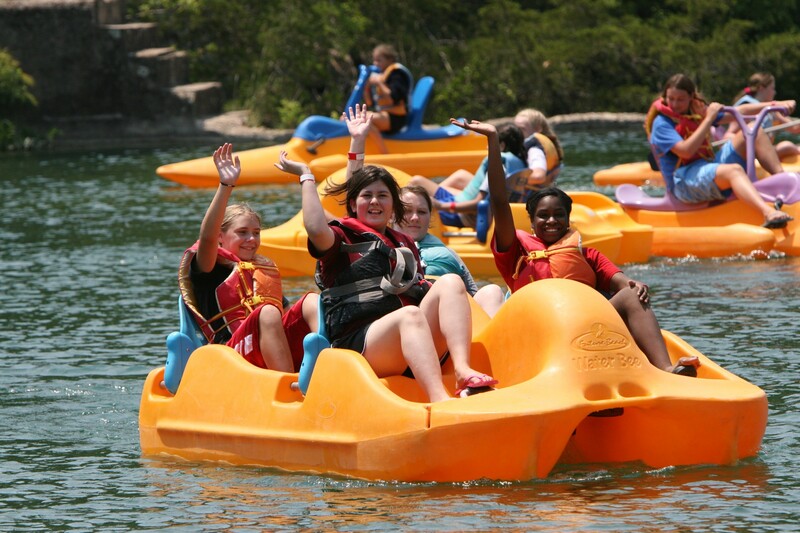 The Conference Centers host 50,000 teenagers every summer – so believe us when we say, recreation abounds! For group rates and additional information, please contact the Conference Centers directly at 580-369-2101. This multi-use area houses our Swift Skate Park, a high ropes course element, and much more. 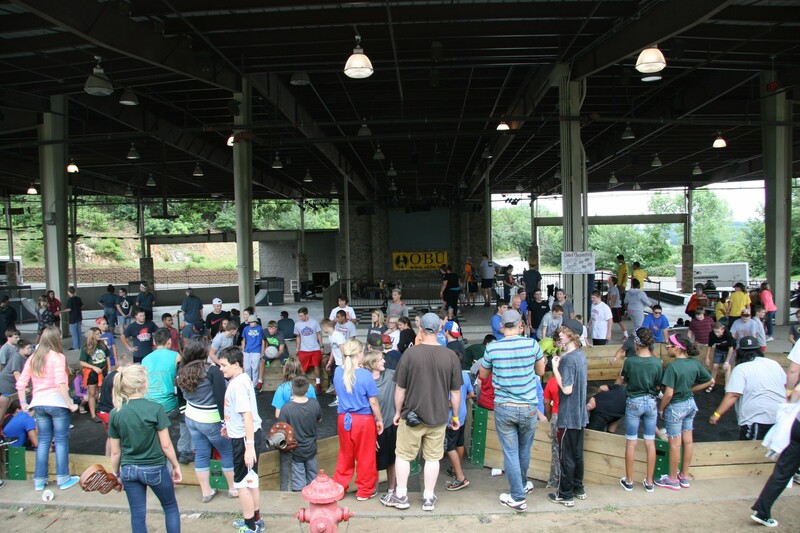 Gaga ball, life-size chess and ping pong tables only name a few of your options. With the awning, it’s also the perfect fit should there be any rainy days. 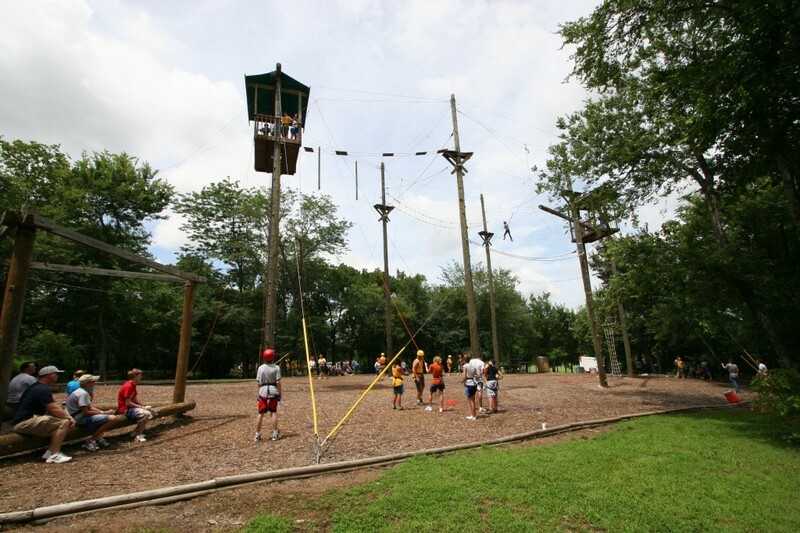 With some of the largest ropes courses in North America, our elements are the perfect opportunity to conquer the heights and challenge a group with team-building exercises. 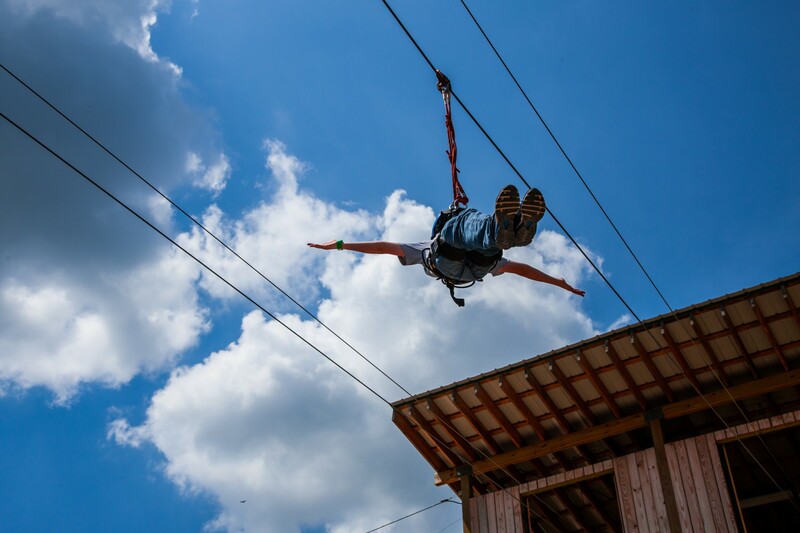 Glide through the air and across Baptist Lake on the newest recreational activity at Falls Creek. Feel the ease of this gradual slope and enjoy the view! Swimming, kayaking and big water toys are what awaits! We even have a giant swing that’ll send you soaring across Price Falls. It’s important to keep in mind these activities are seasonal. 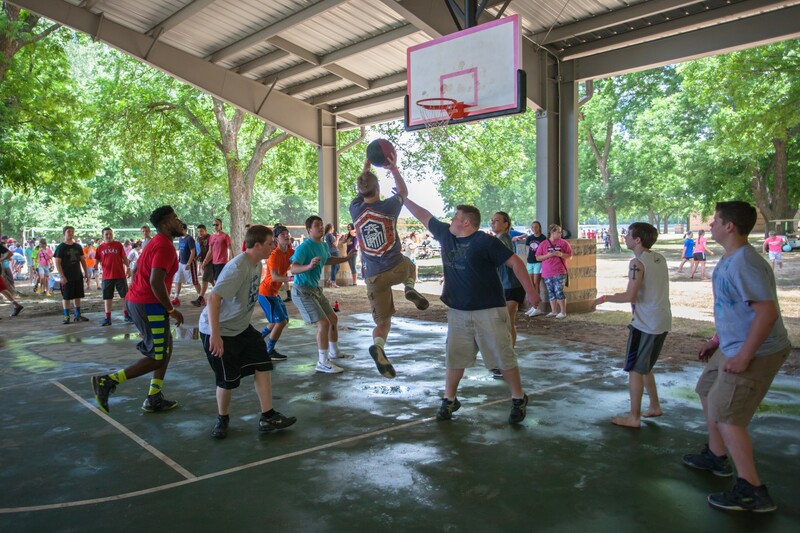 The Thompson Pavilion is a basketball player’s paradise! This covered, outdoor location is also great for when the weather just won’t cooperate. 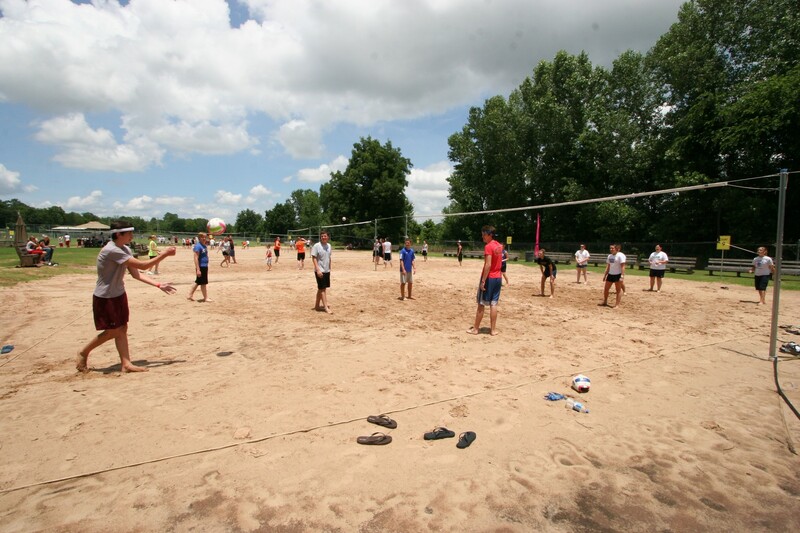 With several beach volleyball courts, Falls Creek can host a number of games at one time! Perfect for tournaments or just a friendly game. In addition to what’s listed above, softball fields, fishing, hiking trails, and much more are also available for use. It’s important to note that while some recreation areas are covered, the Conference Centers have no fully indoor recreation areas.